It’s time! It’s time I went back to San Francisco and complete what was not done (properly) the first time. I’m going to Stitches West next year! It’s funny how my experience in ‘stalking’ Wollmeise (or insert any other online lustful yarn brand here) has been a skill that was transferrable when it came to booking for Stitches. Firstly I booked my hotel. Rather than wait for the hotel blocks to be booked out and my dreams of visiting SF again flash before my very eyes, I learnt I could book a room a few days before at full rate (which was only slightly higher than the Stitches rate). Done. To make my time more enjoyable I thought I’d take a class (it also gives me access to the market preview the evening before the market sessions officially opens to the public). I decided on Anna Zilboorg’s ‘Surprisingly special techniques’ as my number one choice. I also understood this might also be the number one choice of most people as she is the keynote speaker for the event itself. 12am on Monday evening, my Wollmeise shopping experience came into play. I was logged in to the XRX (the home of Stitches website). I had the class page up and when the clock ticked over to midnight, I refreshed my page, placed the class in my cart and I checked out. At this point the adrenaline kicked in. I submitted my payment details and then came my confirmation. Wow what a rush! Speaking of Wollmeise now this is the ironic part, last Friday night after a tip-off on Twitter, thanks Martina Behm! 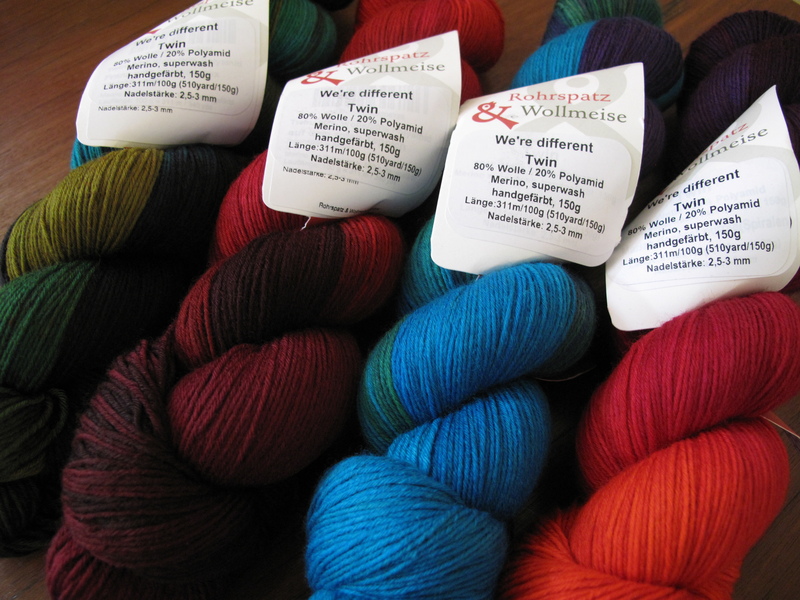 I rushed over to the wm website to see a number of multicoloured skeins of 4 ply available. I have never seen this. Ever. I played, I popped 3 different skeins in my cart just to see what would happen(!). It seems the site now has a new shopping system, I had these skeins for 10 mins until I purchased them or I lost them. The universe has a sense of humour that is just plain cruel. I removed the items from my cart and closed my window… because I’m going to STITCHES! I’m excited, can’t you tell? Such great news! Totally jealous! You will have the VERY BEST TIME EVER!